Whilst we run a variety of Chamonix based group courses many of our clients prefer to hire their own private Guide. This may be because they want to tackle a long or difficult itinerary which requires a 1:1 guide to client ratio. It may also simply be because people want to progress at exactly their own pace and desired level of challenge. Our knowledge of the Chamonix Valley and its surrounding mountains means we can make the most of current conditions and put together a personalised programme of mountaineering tailor made for you. A guide can be provided for all of the climbs described on this website. If you have a specific route in mind, please get in touch and we can discuss the best time of year to come and try it. 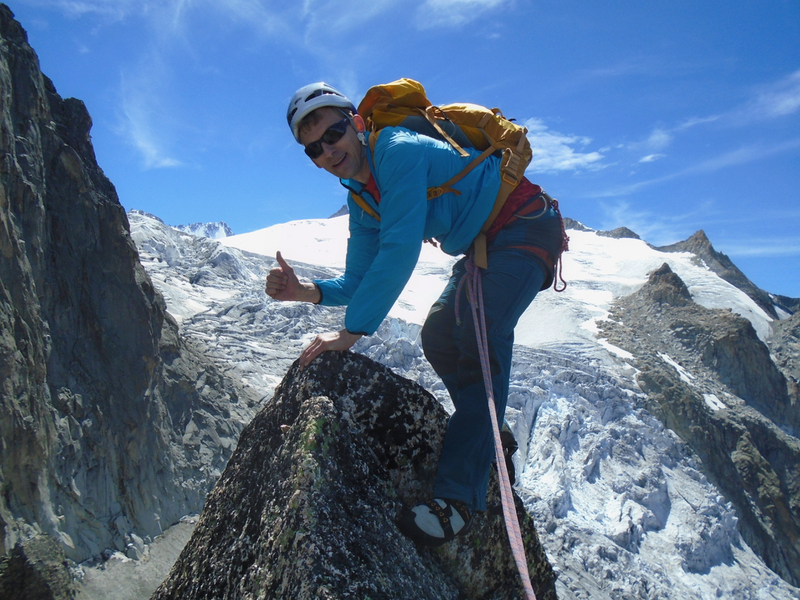 If you are looking for a programme of climbing start by browsing our Chamonix Mountaineering courses. All of these can be provided on a bespoke basis and on flexible dates. Whilst many of the climbs described below are quiet long and hard routes many people choose to hire a private guide for the opposite reason, so they can progress at their own pace and not worry about holding others up or having to do anything too difficult. Make an enquiry about private guiding now via our contact page. Difficult, long or serious alpine climbs are usually completed on a ratio of one guide to one client. This gives maximum speed and efficiency and is required for most of the classic alpine ‘Grands Courses’. These climbs usually start at Alpine Difficile although harder rock climbs may be possible with a team of three. Below are a selection of harder ‘Chamonix Classic Climbs’ that are suitable for one to one guiding. Our 2012 daily rate for guiding is £320 a day. This is not fixed and can increase considerably for long and hard climbs where we will charge a similar rate to the figure quoted by the Chamonix Guides agency. The rate can also go down, for example for valley rock climbing.